Michael looks at the media frenzy over the discovery of a hole in the ground near York University in north Toronto. 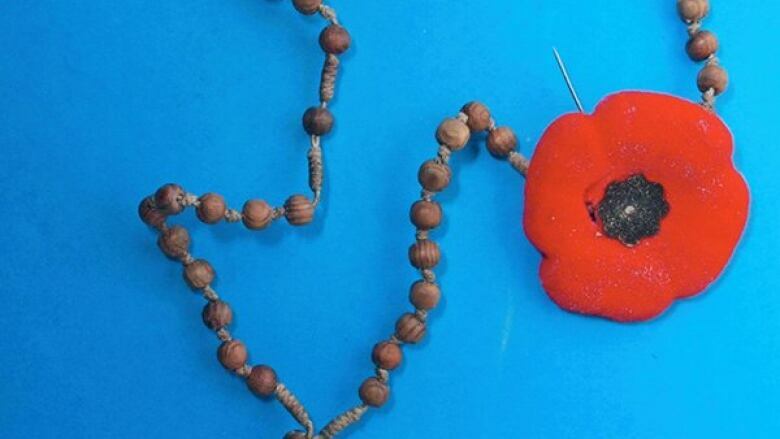 This rosary and Remembrance Day poppy were found in the mysterious hole near York University. It was essentially a great big hole dug deep into the frozen ground. Now mind you, it was quite an elegant hole. Not at all like the spider hole they dragged Saddam Hussein out of in Iraq. It was about 30 feet long with reinforced walls, tall enough for somebody six feet to stand up in. It had a generator, waterproof lighting, signs of temporary human habitation. And oh yes, a Remembrance Day poppy and a rosary. It was discovered a month ago by some workmen on the campus of York University in Northwest Toronto. It has since been filled in. The media kept calling it a tunnel, which it wasn`t. A tunnel runs under something and is open at both ends. It was more a chamber or a cave, perhaps a bunker; but not a tunnel. 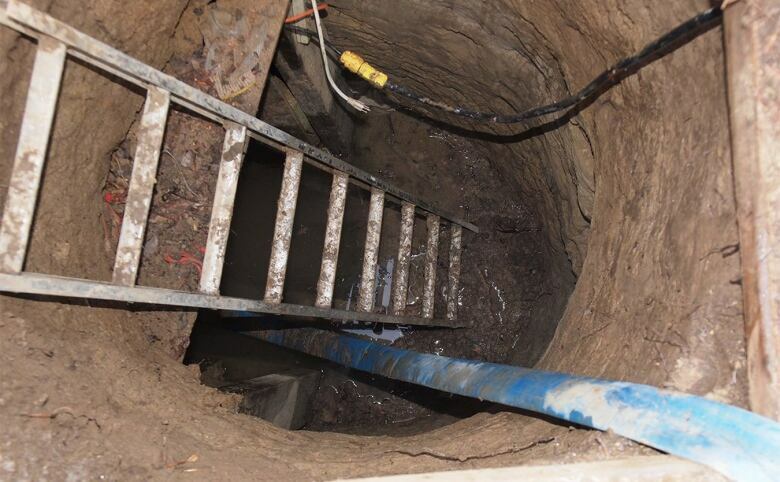 A ladder leading to a 33-foot-long hole found in Toronto. (Toronto Police/Reuters)Because the opening was near a tennis venue for the upcoming summer PanAm Games, speculation immediately burst forth that it was nefariously intended, that it could in fact be the staging area for a terrorist assault on the university or the games. A few days after the disclosure of the hole, Toronto police held a media conference. They said they had no idea what the hole was for. There was no evidence that it was in any way terrorist-connected. Besides, the cops said, it is not against the Criminal Code to dig a hole. The media jumped all over the story. En masse. So-called security experts were interviewed on television and radio and in newspapers. They usually began by saying they didn't know what the hole might be for, then went on for seven or eight minutes, elaborating on their ignorance. 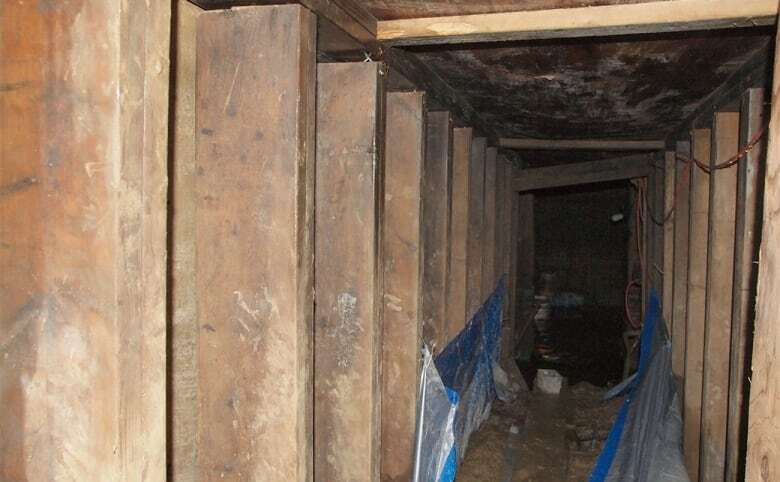 A 33-foot-long hole found in Toronto, Ontario. (Toronto Police/Reuters)​We live in an age when fear has become a political commodity. We are told by our governors on a daily basis that almost as much as we are citizens, we are targets. And in fact Canada has had terrorist attacks on its soil. The FLQ planted bombs in Montreal facilities in the early 60s. Air India Flight 182 was blown out of the sky in June 1985. One is hard-pressed to describe the murders of two Canadian soldiers last fall as terrorist attacks. They were killed by two mentally unhinged young men who might have been triggered by a vicious ideology. Media reporting of the underground shelter has been described as overblown and wildly speculative. One tweeter wrote: "Media coverage of the Toronto tunnel is sensational, irresponsible and unfounded paranoid speculation. CNN North." On the York campus itself, discovery of the chamber has caused barely a ripple. One York student told me that if students mention it at all, it is as a joke. He described the media response as Pavlovian. It is one thing, an important thing, to be aware of the dangers of the world. There is such a thing as international terrorism. This country and our people could be attacked from within or without. But it is also crucial to maintain a sense of proportion, of common sense. If politicians keep warning about imminent attacks and if we in the media collude in that rhetoric, then we are simply stoking the coals of fear which are already keeping us jumpy. If we second-guess a hole in the ground and ramp up speculation, attaching it to some mysterious floating terror, we are helping those whose political interests depend on keeping us frightened.